If you are looking for quality heat pump repair, Climatech Air Conditioning is your trusted heating and cooling expert in Savannah, GA. Our dedicated and professional team of trained technicians are friendly, and also reliable We are proud to be able to repair all makes and models of heat pump systems. Heat Pumps in Savannah are known to be a wise and also efficient choice for your home. Except when your heat pump is in need of a repair. Heat pumps offer an energy-efficient alternative to furnaces and also air conditioners. They’re ideal for climates with moderate heating and cooling needs. These units pull heat from the ground or air to heat and cool your home to perfection. This makes them the ideal solution for homeowners who want a more cost-effective way to heat and also cool their spaces. Climatech Air Conditioning knows the importance of your heat pump operating effectively. It provides heating, cooling, good air quality and also comfort for you and your family year round. If your heat pump is not able to keep up as it used to, it may be time to call Climatech Air Conditioning. Your heat pump system works hard to transfer the heat from the outdoors inside with the fan running year round. Without proper maintenance, the dirt and dust can build up in your heat pump causing it to break down. The motors, electrical switches, coils and compressor need routine maintenance and cleaning to ensure they are running efficiently and effectively. Without maintenance, your heat pump will eventually break down. 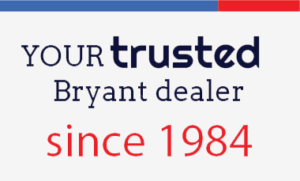 Climatech Air Conditioning provides the highest quality heat pump repair in Savannah, GA. We are proud to be a Bryant Factory Authorized Dealer. We have built our company on honesty, trust and integrity. 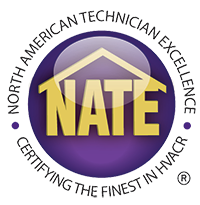 Our technicians are certified and trained to diagnose your issue and fix it the first time. We offer estimates and never do a repair until we have your approval. With our prompt professional service and technical excellence, your heat pump system will be running smoothly and efficiently in no time.